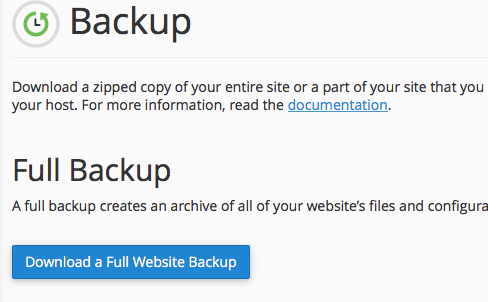 How to take a full website Backup? Keeping a full website backup safe on your computer will help you restore your website in case your web hosting server get crashed or get deleted unwillingly. Though Taregan IT keeps your website backup on weekly basis, it would more safer to keep backup yourself for future use. Today we will help you to learn, how to take a full website backup. Follow the below steps to take a full website Backup on CPanel. Log on to your CPanel account. Navigate to “Backup” under Files. 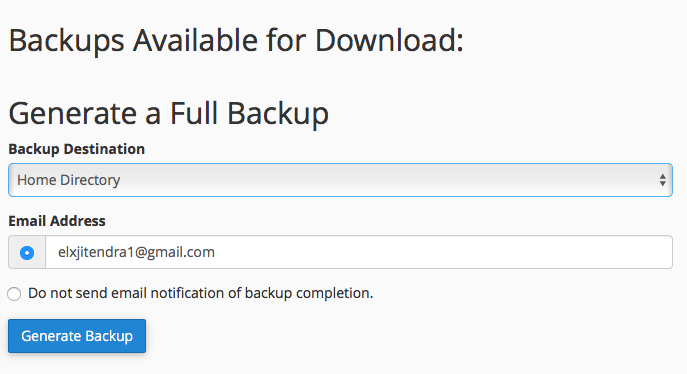 Now click on ” Download a Full Website Backup”. Now backup will be generated and then you can simply download it from home directory using file manager.